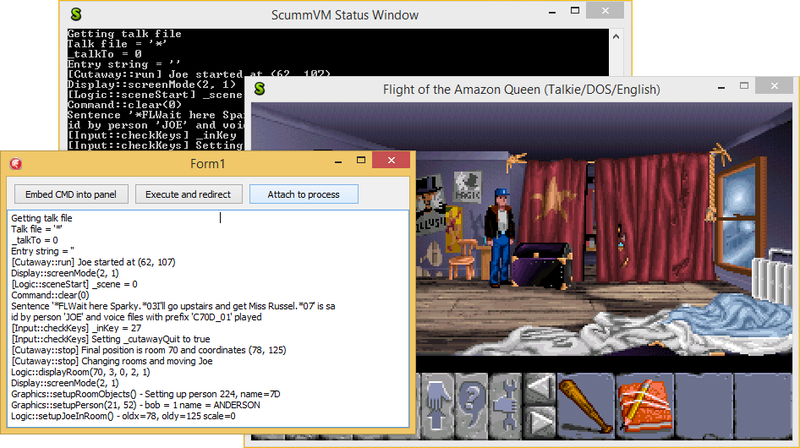 - or How to add achievements in ScummVM. 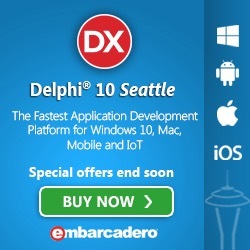 Have you ever had the need to redirect output from a console application into your application, either for monitoring, integration or "user friendliness"? I will walk through 2 scenarios - and sprinkle them with a bit of extras. Not really useful - and remember to terminate the process of the console when you close the form. Notice I did use a TMemo as place holder, you will see why later. Now to something useful - a useful tool when working with window handles and figuring out what is going on in Windows - Greatis WinDowse. Back to the scenarios of interest. Scenario 1: Redirecting STDIN, STDOUT and STDERR from a process created/started by you. We first need to set the security attributes and create the pipe read and write handles. Then we need to fill the TStartupInfo record structure, to enable the redirection to our just create pipe handles. And then we create/start the process using the pipes, since the CreateProcess command has the ability to use these. You could of course in this case use the normal redirect and pipe commands, and end up with a file, that you then read and parsed - but not very elegant. Scenario 2: Capturing STDOUT on a process not started by you. Picture that you want to monitor a console output from a process not started by you or a sub process initiated from the program you are using. Then the previous scenario will not do. As an example we will use the program ScummVM, monitor its debug output to figur out when certain things happens in a game. If you do not know what ScummVM is you should go their homepage and download it to your favourite platform, grab one of the freeware games and enjoy the rest of the weekend :-). The team has over the years done a great job, reimplementing the engines of many (all) the old classics - like Monkey Island or Sierras Quests series. A bit of background: I had just finished off an update of a translation for ScummVM, being ready for the upcoming 1.7.0 version, when I looked at the various command line options, and thought I could have some fun with that. You can see a video here, of the PoC I did by hooking into the debug output - I did state it as a "fix" - but there is nothing broken in ScummVM - it was a "fix" to the itch I had for getting achievements in some older games - Just to make that clear :-D.
First we need to define a reference to the external function AttachConsole, that for some reason isn't included in the Winapi.Windows unit as I would have expected. 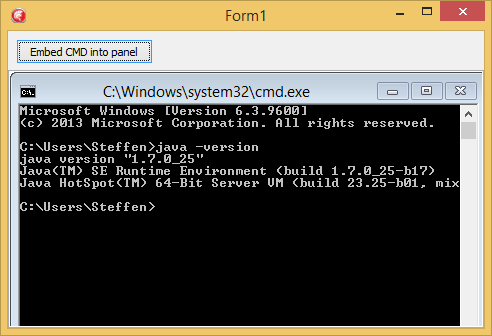 We then create a function to return the STDOUT pipe handle, on the given process id for the console application. And a procedure to free it again. 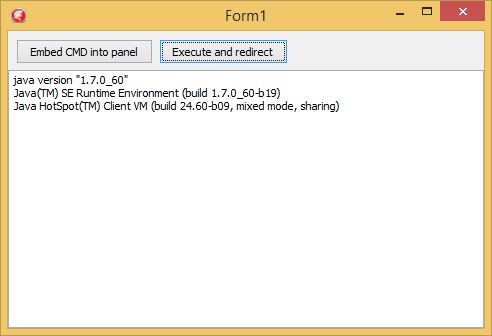 Note that since a process can only be associated with 1 console, the FreeConsole needs no process id. You can also take a look at the AllocConsole function. Now we only need a function that reads the buffer from the STDOUT pipe (wPipe), using the GetConsoleScreenBufferInfo and the ReadConsoleOutput WinAPI functions. Then before we try our code, we want - as an example start scummvm.exe with the following parameters: -d6 queen (which requires that you have download ScummVM and the game "Flight of the Amazon Queen", and added the game), any other process would do, just figure out the window handle of the console window, and change the title parameter of the last FindWindow call. We will stop for now, but using the ShowWindow call and a timer you could hide the console window, and continuous update your output memo, searching the text for hints/events - a simple pos function is probably the fastest. Actually yesterday I tried to redirect output from a console application into my application for monitoring, but I failed. I work mostly with mobile apps development, but sometimes I develop web software. Probably I have to read more articles to succeed in this task. 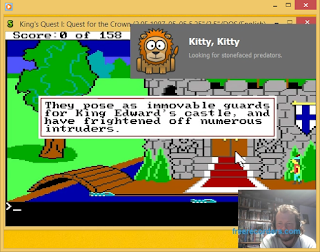 I like your idea for achievements in old games (king quest series, quest for glory etc). I did think about following this post up with a couple of extra parts - achievement editor and "social scoreboard" - but not really any supported finalized launcher/toolbox. In case we get a rainy and cold winter - the extra posts might happen - but doing the achievements takes time, and does also spoil the "fun" when you know where you "hid" them. But let me know what could make playing some of the old games extra nice. Achievements should be optional like subtitles in a movie - because some people find them distracting.